I'm back from my blogging vacation as promised! It felt so good to take a week to myself and tie up a few loose ends. Of course, there was plenty of serious loafing too. You know, the best kind where you feel completely guilt free about wasting time. I've decided to skip homeless housewares this week, but here's a mini one for those of you who need your craigslist fix. 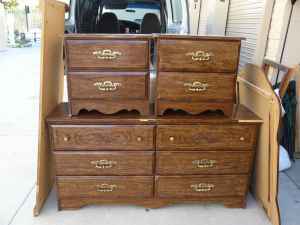 What's so great about this bedroom set? Not much as it stands right now, except the price. 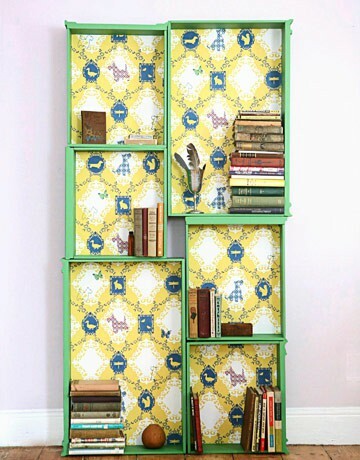 But with 10 drawers between these pieces, you have a great opportunity to make a bookcase out of drawers! I've been crushing this thing for ages. Why not give some old furniture a totally reimagined new life!? I would totally buy these if I was in your area. We need nightstands (I'd paint them white) & I'm also looking for a long dresser to fix up & use as a tv stand in our living room. This would work for both of those, and for only $40 can't be beat!